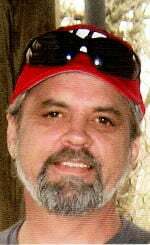 Janesville, WI -- Brian A. DeRemer, age 57, of Janesville, died on Sunday, April 7, 2019 at his home. He was born in Beloit, WI, on December 7, 1961 the son of Norman and Viola (Tischendorf) DeRemer. Brian attended Janesville Schools, and on May 28, 1983, he married Tracy J. Campbell. Brian worked for over 28 years in the auto transport business, retiring in 2007 from Commercial Carriers, Inc. Brian was an amazing father to his children, and proud to be a grandpa. He was very generous, caring, and always willing to help others whenever he could. He enjoyed the outdoors, hunting, camping and boating. He also was an avid Green Bay Packer and NASCAR fan. He is survived by his wife, Tracy; two daughters, Amelia (Niles) Boeche and Brianna (Adam) Burner all of Janesville; his five grandchildren who he adored: Ava, Alexa, Grayson, Wyatt, and Arya; his mother, Viola DeRemer of Janesville; mother-in-law, Yvonne Campbell of Janesville; his sister, Becky (Dennis) Dineen of Glendale, WI; brothers, Bradley (Cynthia) DeRemer and Brent DeRemer, both of Janesville; many other relatives and friends. He was predeceased by his father, Norman DeRemer; and father-in-law, Kenneth Campbell. A Celebration honoring his life will be held from noon until 3 p.m. on Saturday, April 13, 2019, in the fellowship hall at Asbury United Methodist Church, 1810 Kellogg Ave., Janesville.